With the appearance of the Corvette C5 General Motors decided to set up a works team and take part in all sports car races throughout the world, but primarily in the prestigious Le Mans 24 hour races. In 1998 they started to develop a racing car similar to the production version, which was to become one of the most successful GT racing cars. 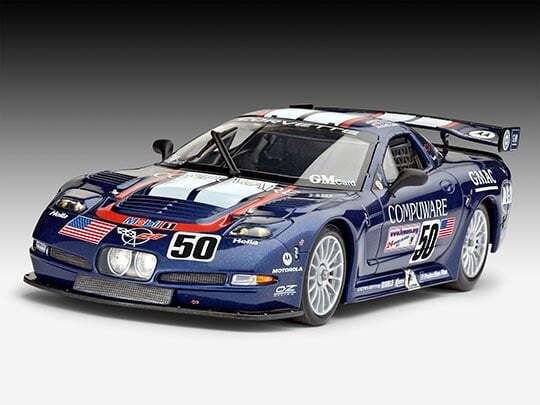 In 2003 the Corvette racing team achieved various Class wins in the American Le Mans series. The quality of the coordination and preparation of the 610 hp C5-R was proved by the so-called 50th anniversary edition in the dark blue livery, also at Le Mans. The team of drivers starting under no. 50 secured 2nd place in the GTS Class, directly followed by the C5-R under no. 53.